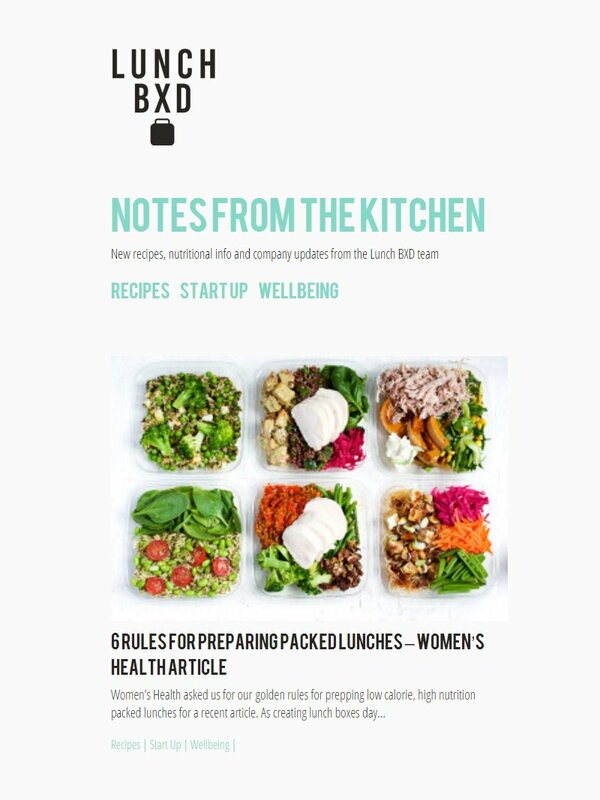 LunchBXD came to us with their brand new business idea which they wanted to make a reality through a bespoke online food ordering system. The new software needed to be built from the ground up in order to deliver the very specific functionality they needed. Their business operations had evolved quickly over a very short period which caused them to outgrow their existing website, ordering system and back office processes. There was also a strong emphasis on making the new solution search engine friendly to improve natural rankings and offer them the ability to integrate with their established blog and Instagram feeds. After composing a detailed specification that included all the features and functionality they required we proposed to design and build a custom web application to manage the online ordering system, client account areas, kitchen / production interface, delivery interface, lable printing and business intelligence that they needed to drive the business forward again. 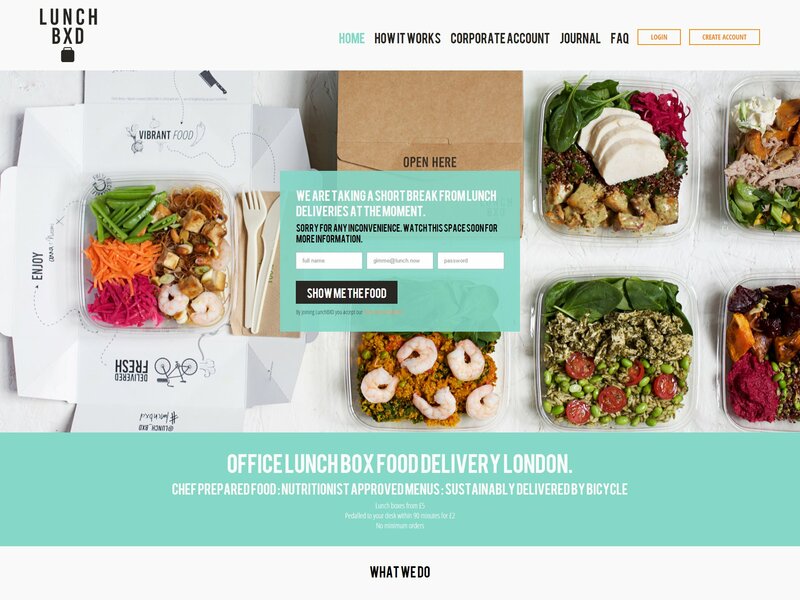 We then coupled this with a bespoke front end user interface that gave a great user experience, all wrapped up in LunchBXD’s modern branding. 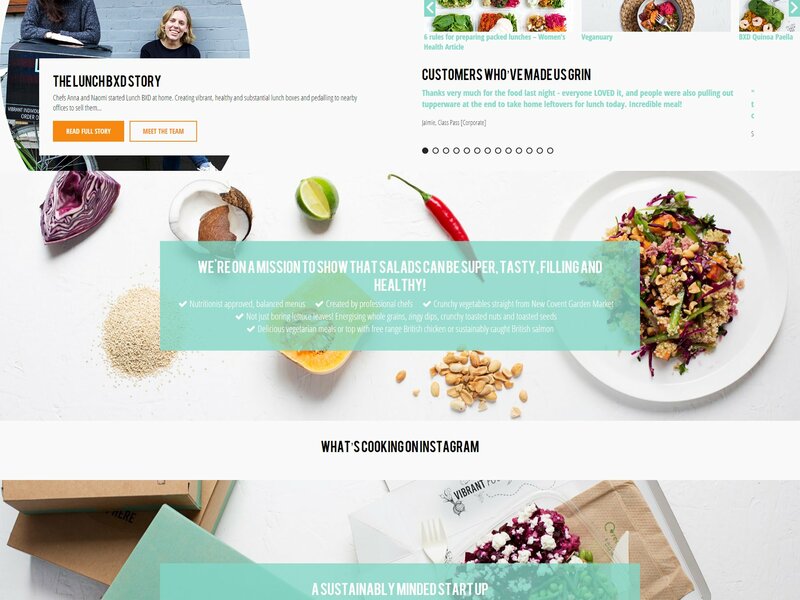 Both the client and their customers love the solution that we developed and it has been featured in many fashionable London food blogs and magazines. We began with the design stage which comprised of designs for the website front end, customer admin area and ordering system plus the admin screens for the system management, kitchen management and delivery exports as well as technical documents such as database structure and process workflows. This all helped the client understand what we intended to deliver as well as iron out any discrepancies and improve the process for both users and LunchBXD staff. Once the design and functionality we signed off we moved into the development stage which was broken down into milestones with key deliverables to enable the client to monitor progress and be involved as much as possible with each stage of the development including testing. The solution featured a number of fully editable website pages as well as user areas that included – register, login, food ordering, checkout, order history and account management pages. The customers were categorised into three different types based on the number of people they would be ordering for, this allowed the system to offer different prices, delivery options and payment methods for each customer type which was one of LunchBXD’s main requirements. The system allowed the users to plan up to 2 weeks of meals in advance and pay in one checkout process with online payment options, food would then be delivered to their desired address by bicycle carrier (Very green) in a pre set delivery window. The wholesale accounts were provided an integrated ordering enquiry form which LunchBXD would then use to generate wholesale orders. Another key part of the solution was the business operation processes which were functional requirement of the build. These included the menu system only allowing food ordered on the current day or the next day to be from a set menu that was configurable in the admin system allowing LunchBXD to minimise their waste and give customers the opportunity to order meals last minute, this was very time sensitive and had to be built into the ordering page as well as the checkout. Once outside the 24 hour window the full menu was available. Additionally another requirement was the delivery options and availability were different per account type with the most challenging being for the individual account which was limited by full or partial postcodes which the system would decide on eligibility and geocode for use on map in the admin interface. We delivered the full solution over a number of strategic stages which allowed for pre-sign-ups to generate interest and a customer base which could provide early feedback which improved the full launch version. The full version was pushed live and customers began using the system, LunchBXD also fully migrated their business operations and sales management to the new more efficient system with ease. Further developments also took place to make the system even more capable, these included; integrating with a label printed with a custom design for labeling the meal boxes, invoice generation and financial statistics. 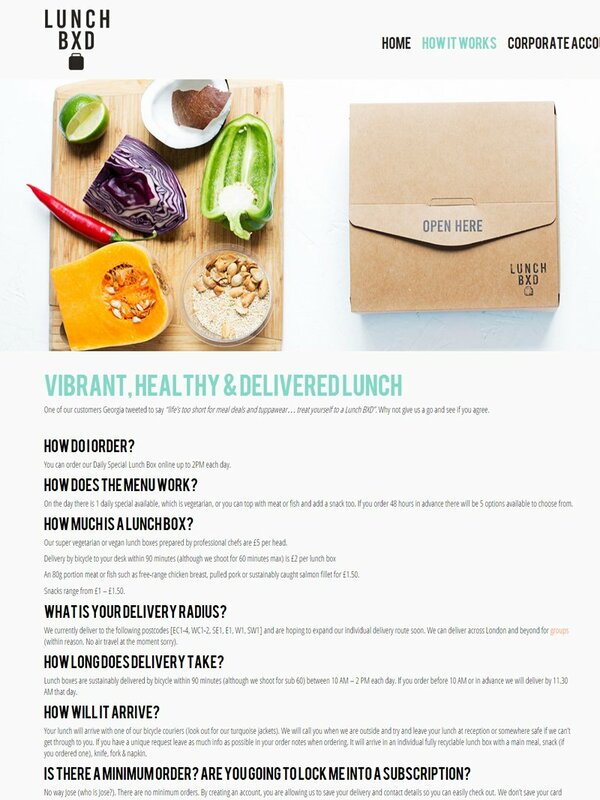 We delivered the solution on time, within budget and with great feedback from not only LunchBXD but their customers too. Julian, Ross and the Teknet team were a pleasure to work with. They helped us turn our ideas into a concrete website and asked questions along the way that we hadn’t considered ourselves. We were very pleased with the final result and their on going support before, during and after the build. They exceeded our expectations in terms of how the front end worked and looked but also the back end functionality which was crucial for our business. If you’d like to know more about the services in this article, check out our Services pages!